We are so thankful for all of the care we got at Akron Children’s Maternal Fetal Medicine Center while I was pregnant with our son, Gabriel. When I was 30 weeks along in my pregnancy, I didn’t feel any movement. My OB did a non stress test and could barely capture his heart. His heart rate looked like Arabic on paper. 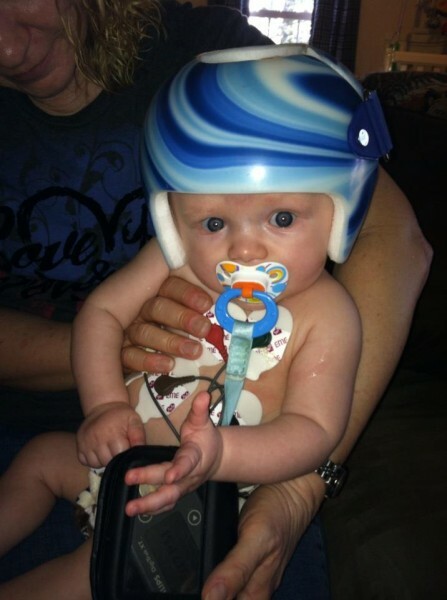 When they did an ultrasound, they noticed his heart rate was high. They advised me to go to Columbus or Akron right away. We chose Akron because the doctors who see me about my injections for my blood clotting disorder are also from Akron. I’m so glad we chose Akron. Two hours later I had an ultrasound at Akron Children’s Maternal Fetal Medicine (MFM). I knew something wasn’t right because the ultrasound tech said she needed to get a doctor. Dr. Mancuso came in and said he was very tachycardic with a heart rate anywhere from 200-230, but he wasn’t really moving around a whole lot. She sent us straight over to the heart center where we met Dr. Khan. He did a fetal echo and noticed Gabriel was having arrhythmias along with premature heartbeats. Gabriel was diagnosed with SVT and I was admitted and put on digoxin to help control his heart rate. The digoxin worked so after 2 days we could go home. We were so scared I was going to deliver him early. They scheduled my C-section for 37 weeks. 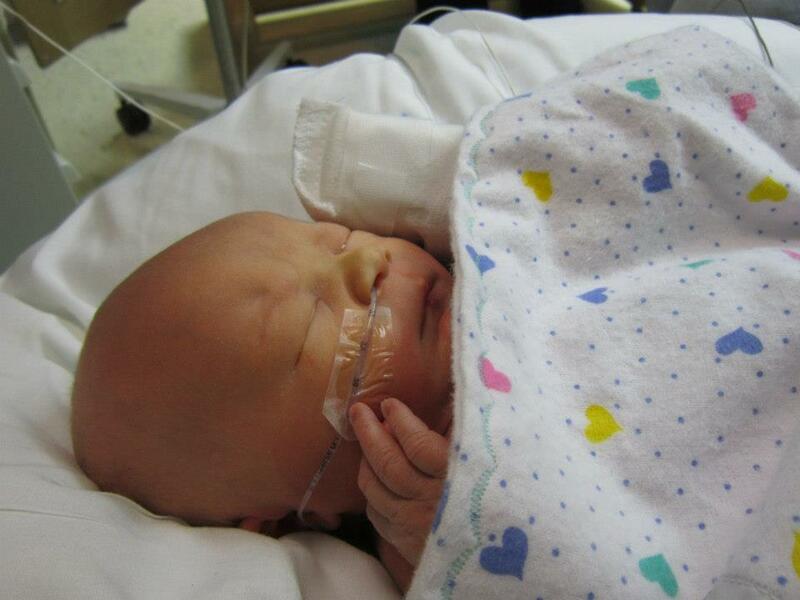 Gabriel was born at Akron General and taken immediately to Akron Children’s NICU, where he stayed for 4 days. His heart rate was doing well on the digoxin so we came home. 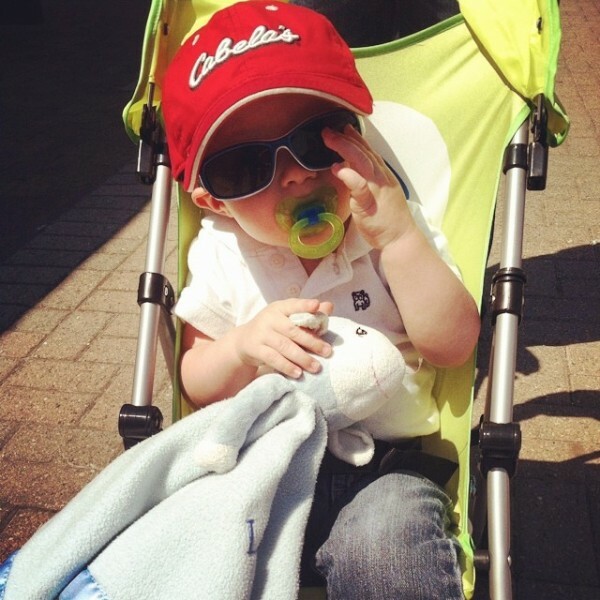 He still follows up with Dr. Khan in cardiology but Gabriel was able to come off the digoxin at 6 months old. In addition to MFM, cardiology and the NICU, we’re also thankful to many others at Akron Children’s. When Gabriel was 5 weeks old, we brought him to the ER because he had been vomiting nonstop for days and had started to vomit blood. That night he was diagnosed with severe pyloric stenosis and had surgery the very next morning. We spent the days leading up to Christmas (our first Christmas with him) in the hospital. We were finally able to bring Gabriel home on Christmas Eve around 5 p.m. I was in tears at the amazing staff and how they treated us like family. The visit from Santa and the presents he got made it a little easier to bear even though we would have much rather been at home. A few months later, we noticed the cone shape of his head was getting much more severe so we took him to the Hanger clinic. He was diagnosed with brachycephaly and had to wear a helmet for 3 months. He was so cute but we were so glad when he could stop wearing it. Since Gabriel was a few months old, he has been in and out of the hospital many times for high fevers and dehydration. On 2 occasions, the fevers triggered his SVT. It took our pediatrician nearly a year to figure out he needed to see infectious disease. After a hospital stay where his fever spiked to 106 (even with meds) we decided our pediatrician was right and went to see Dr. Bower in the ID department. He immediately recognized this as a type of auto-inflammatory disease, periodic fever syndrome. We’re still in the process of learning how best to handle that. Dr. Bower is doing everything to help us along the way. We are now pregnant with baby #2 and the MFM department is as wonderful now as they were 2 years ago with Gabriel. We know we’re in the very best hands with Akron Children’s. It’s about an 80-minute drive one way but we are always willing to make it.